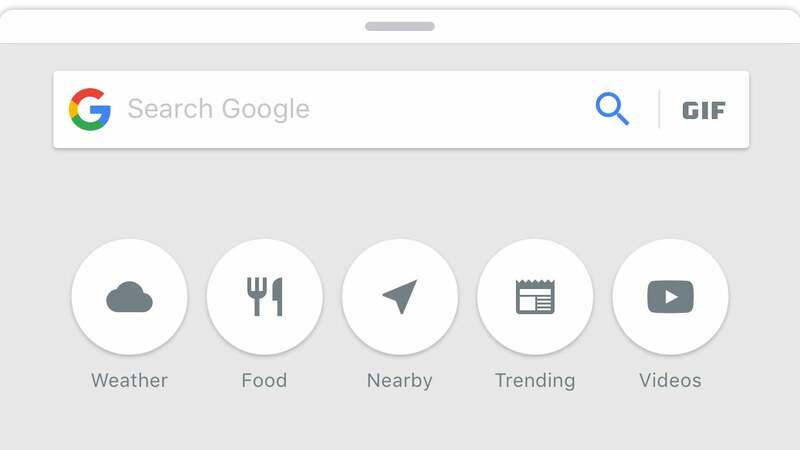 If you only interact with Google on your iPhone by typing search queries into your browser's address bar, the concept of installing a standalone "Google" app might feel a little weird. Don't worry about it. The updated Google app isn't perfect - I'll get to that in a moment - but Google's iMessage extension gives iPhone owners a compelling reason to grab the app and bury it deep in an iPhone folder. Colour me stoked. When you install the Google app (or update it to the latest version), open iMessage and fire up a conversation. You should see a big, colourful "G" at the bottom of your iPhone's screen. Tap it, and you can now drop all sorts of Google-curated information into your chats: The current weather; weather predictions for the next six days; ratings, hours, addresses and phone numbers for nearby restaurants or interesting landmarks; trending news or YouTube videos; and GIFs. Power overwhelming. When your friends tap on the content you've shared - such as a restaurant you want to meet up at later - they will see a Google search results page for the place. (And yes, a big ol' AdWords result might sit at the very top.) If they tap on a video, it will also appear on a new screen and start playing (muted, thankfully). 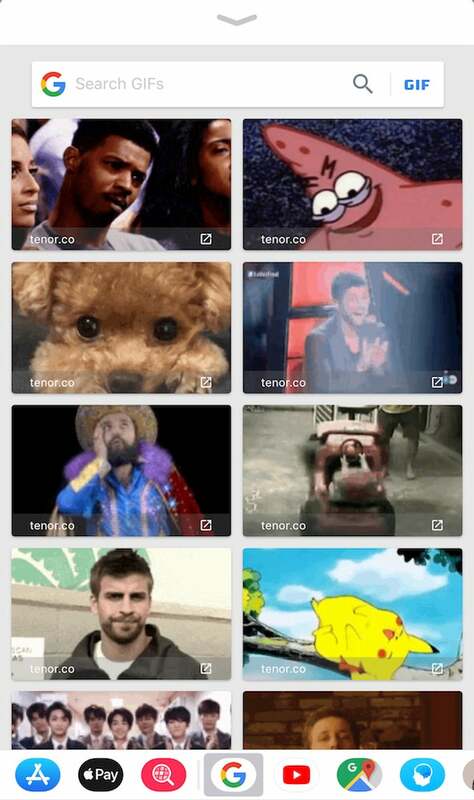 Tapping on a GIF fills the screen with the image, and you can use iOS's sharing options to blast it out to others. 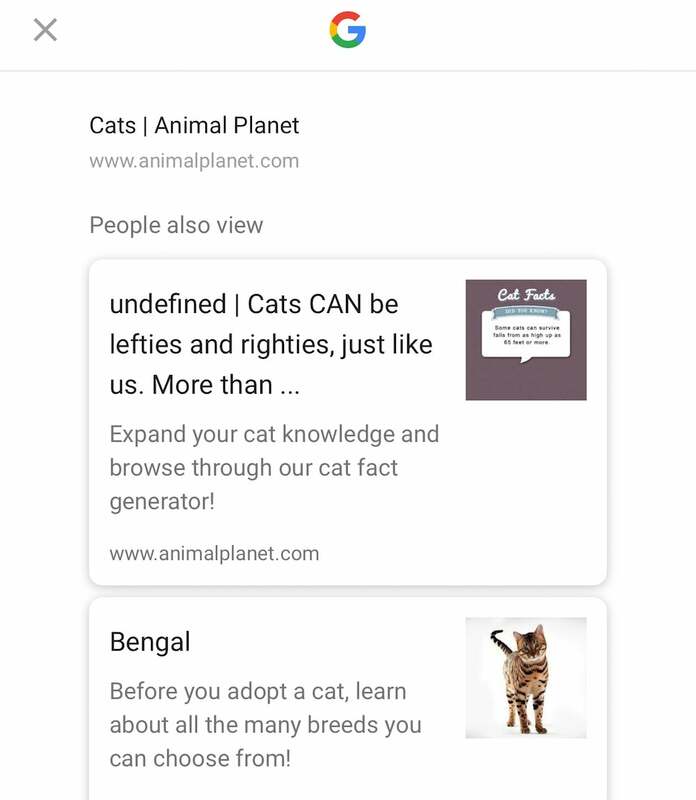 Google recently added a new feature that allows you to pull up related content for anything you're looking at in your preferred mobile browser. This sounds compelling on paper, but it isn't all that useful in practice, especially since it doesn't play nicely with Chrome for iOS. The feature worked well on Safari, within reason. Assuming you're looking at a typical web page and not a search results listing or an image, to name two examples, it's super-easy to pull up Google's list of related articles. If one piques your interest, you tap on it and it appears in the browser you were using. The same holds true for Chrome on iOS, save for one critical difference: Tapping on a related article pulls up absolutely nothing. No matter how many times I tried, or how many different websites I tested it on, Chrome wouldn't pull up any related articles I attempted to summon. Meh. Instead of using Google's "Search Google" feature to find related content, it's probably more convenient to just open a new tab and run more Google searches when your mind starts wandering. However, Google's iMessage extensions are incredibly useful and worth the few seconds it takes to download Google's iOS app for your iPhone or iPad. You'll never have to use the app if you don't want to, but you'll have a powerful tool for iMessage that you can use to brag about the weather and bombard your friends with cat GIFs.